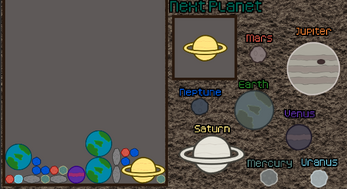 Fill lines to collect planets, similar to tetris, only the whole planet gets removed on line completion. 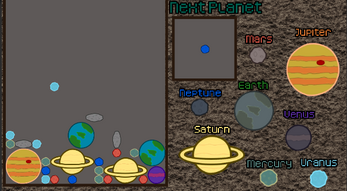 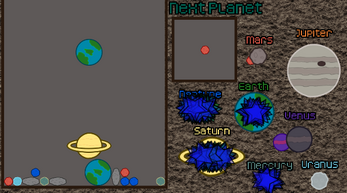 Win by collecting all the planets. Lose if you can't move the next planet at the start.